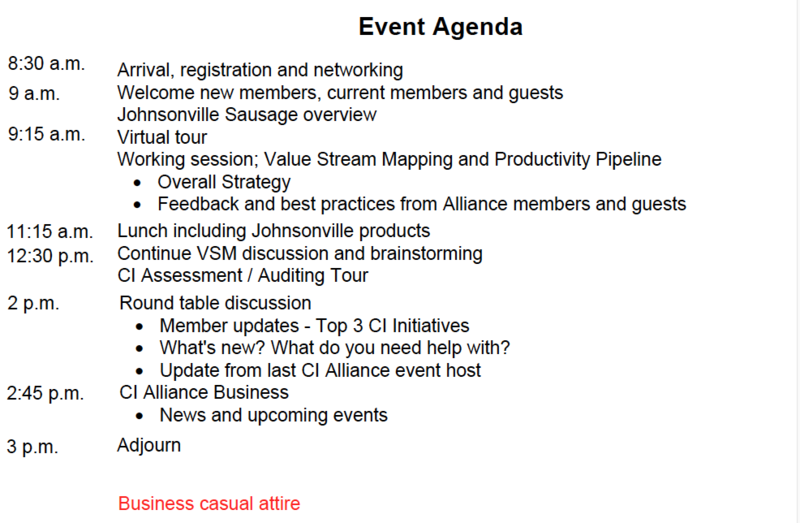 Johnsonville will share their new process for aligning with Business Unit leaders using Value Stream Mapping for project ideation. The prioritized project ideas go into a productivity pipeline to track savings toward a cost of sales percentage commitment. Johnsonville is eager to share this process and to get feedback from Optima members regarding effective ways to gather and prioritize ideas that result in high impact improvement projects. A secondary part of the agenda will touch on a CI Assessment and to learn how other members track progress on the lean/CI journey.